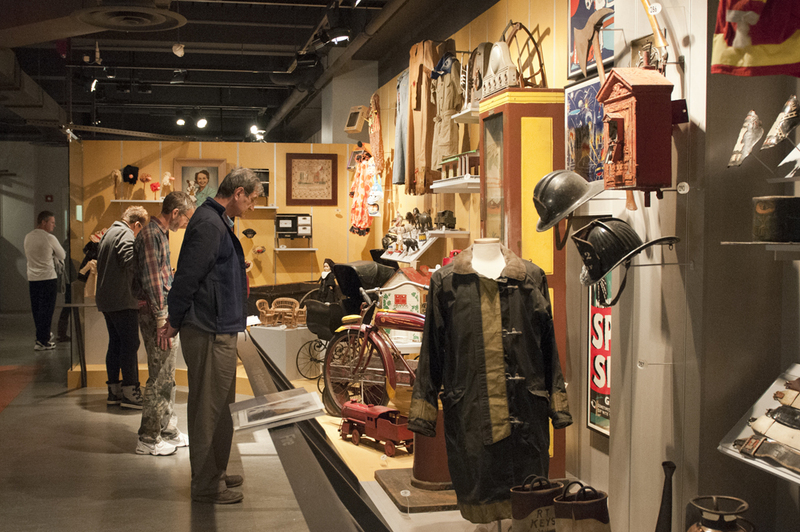 The Special Collections Gallery, located in the Sigo Falk Collections Center on the museum’s fourth floor, features the neighborhoods and people who define our region. 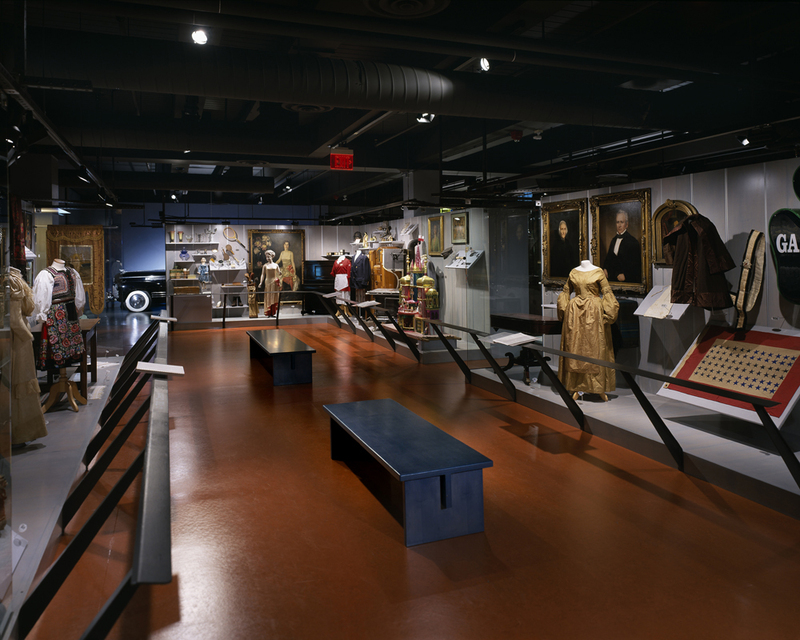 Thousands of objects, showcased in this open storage gallery, share the rich heritage of the people who settled this region and the stories of the communities they built. 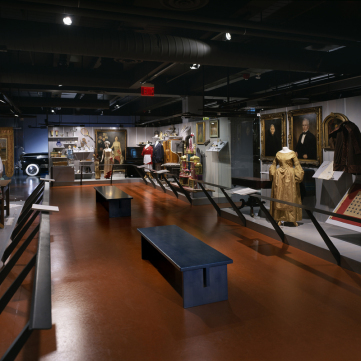 The Special Collections Gallery also houses a changing textile gallery which features outstanding examples of clothing from the collection. 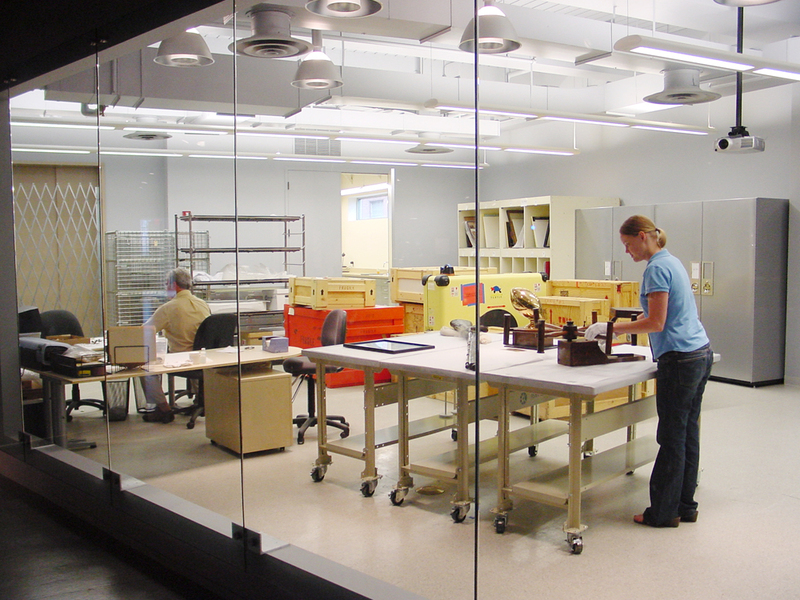 In addition, a large window into the the Grace M. Compton Conservation Lab, provides behind-the-scenes views of museum professionals at work. 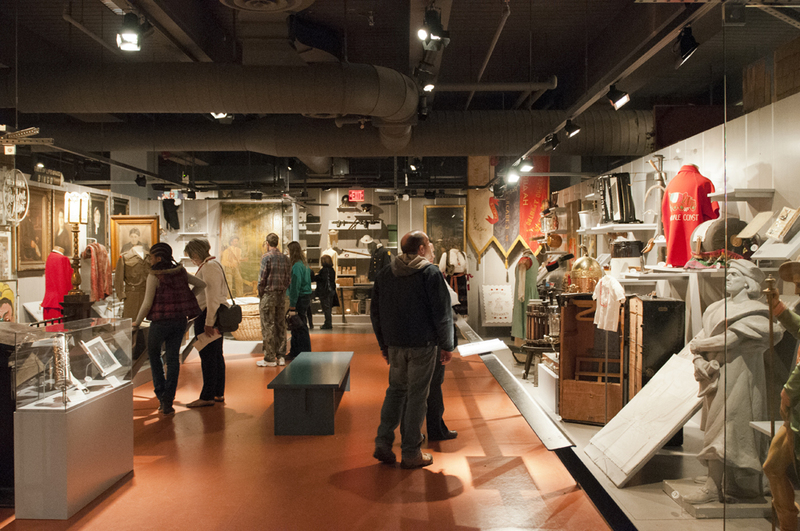 The paintings and experiences of artist Ron Donoughe in the “90 Pittsburgh Neighborhoods” display. 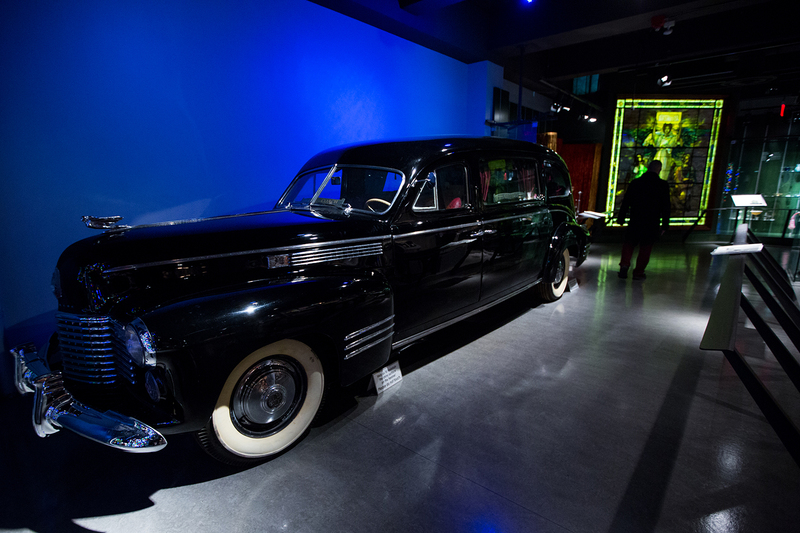 A 1941 Cadillac hearse from the Gaines Funeral Home, one of the oldest continuously operating African American businesses in the region. 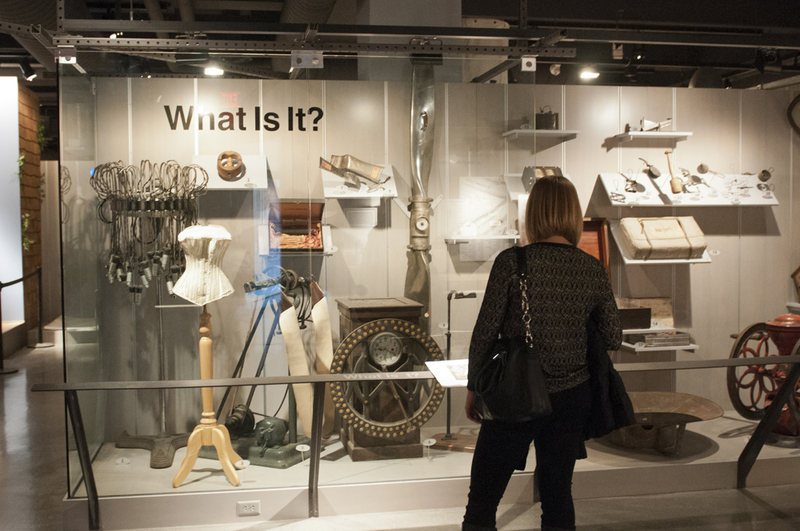 Interactive drawers that visitors can open to discover archeological pieces collected during construction of the Port Authority’s Gateway Center station. 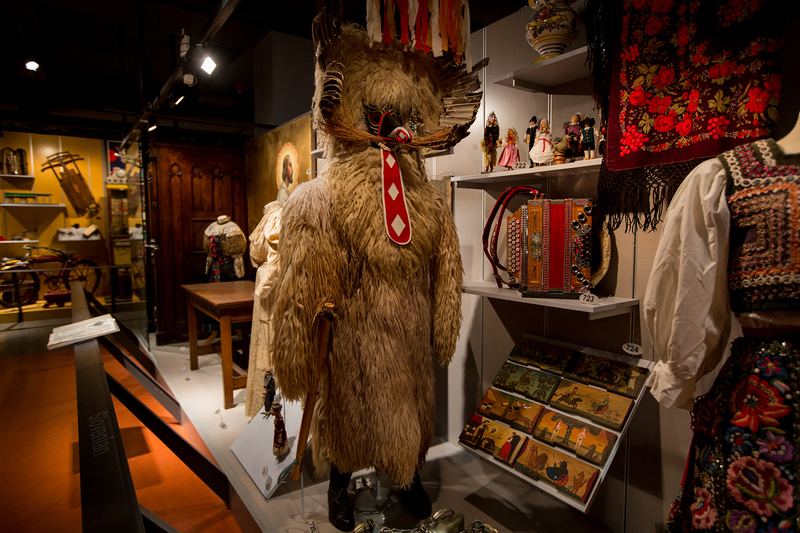 Brightly colored Slovak folk costumes with beautiful handwork and a Slovenian Kurent costume worn during Pust or carnival. 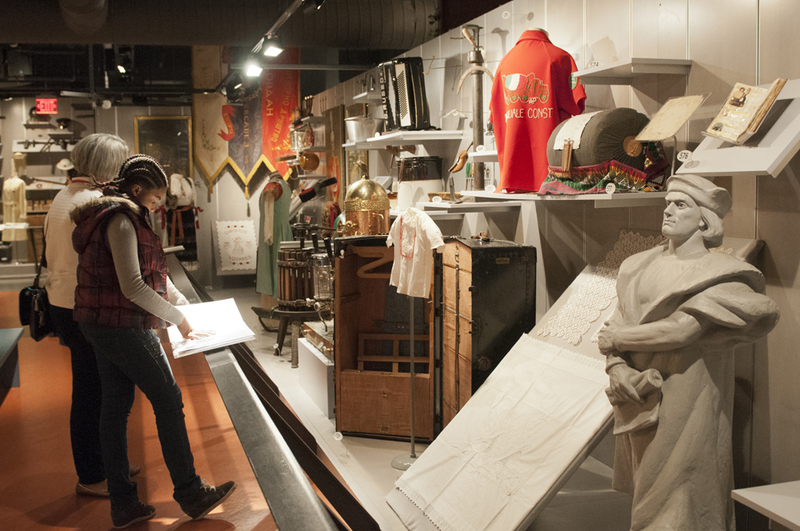 Unique artifacts from regional businesses and corporations such as the eagle sculpture that once stood atop the H.J. Heinz Company’s Time Building on the North Side. 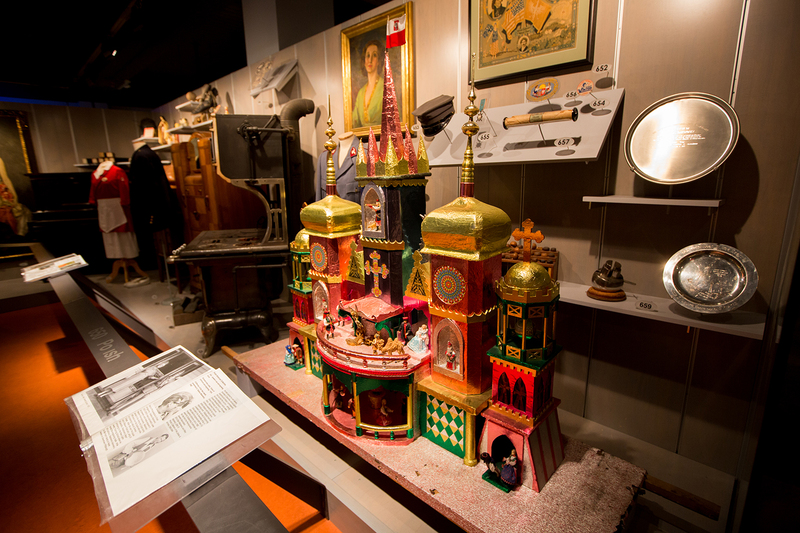 Toys including circus figures made by the Schoenhut Company and given for Christmas to a Pittsburgher in 1915. An extraordinary stained glass window crafted by the Rudy Brothers Studio of Pittsburgh for the Vanadium Company Building in Oakland. 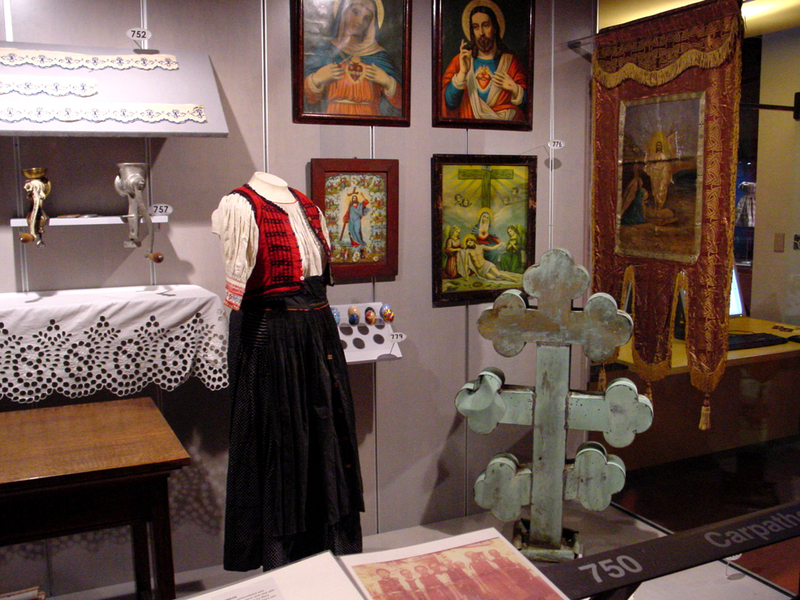 The interior features from Machsekei Hadas synagogue. 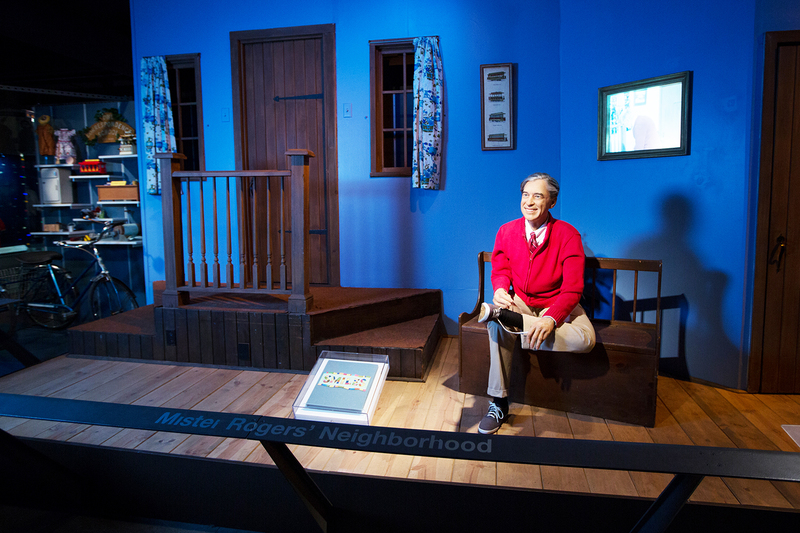 See the largest collection of original items from the “Mister Rogers’ Neighborhood” television set on public view. 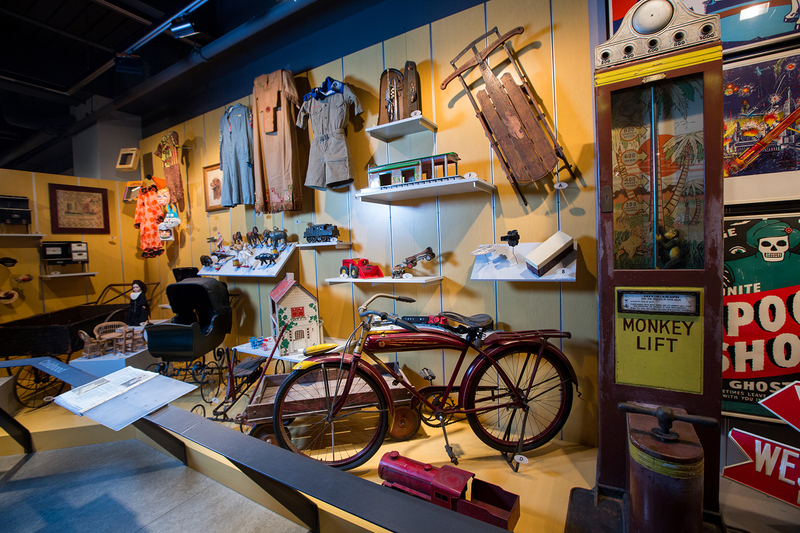 Featuring select artifacts from the popular children’s show, this display marks the first time these items are on long-term view. 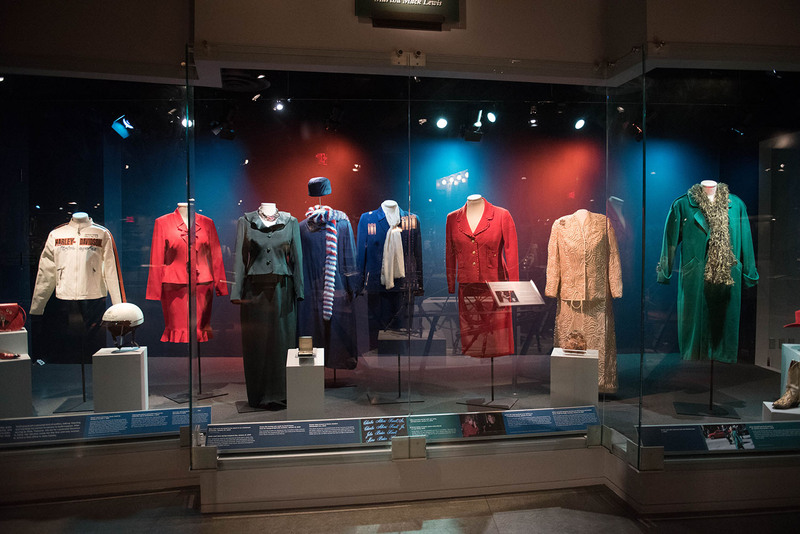 The fashions of trailblazing politician Catherine Baker Knoll are now on display until June 30, 2019. 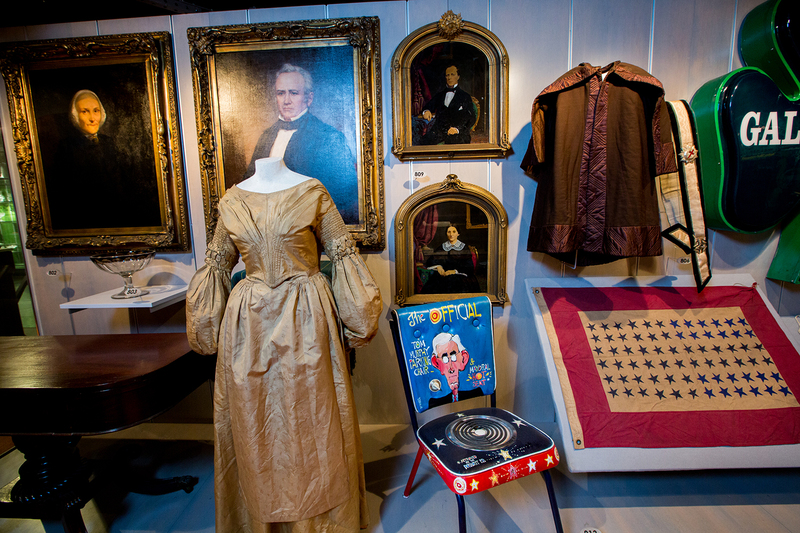 The gallery showcases clothing from the life and career of Knoll, a McKees Rocks native who became the first and only woman to serve as lieutenant governor in the Commonwealth of Pennsylvania from 2002 until her death in 2008. 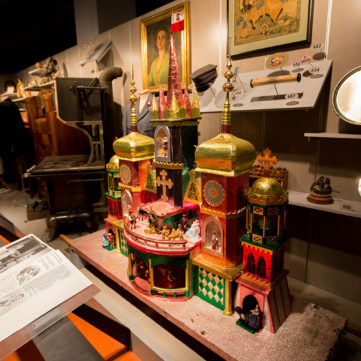 In 2013, artist Ron Donoughe set out to paint all 90 of Pittsburgh’s neighborhoods. Inspired by a map, he painted the neighborhoods in alphabetical order and completed the project within a single year in order to capture the changing seasons. 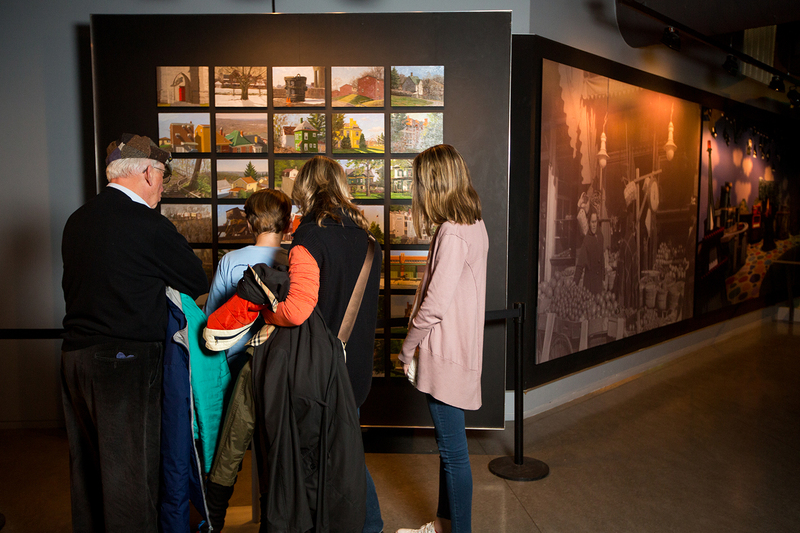 See Donoughe’s paintings of 90 Pittsburgh neighborhoods when you visit the Special Collections gallery. 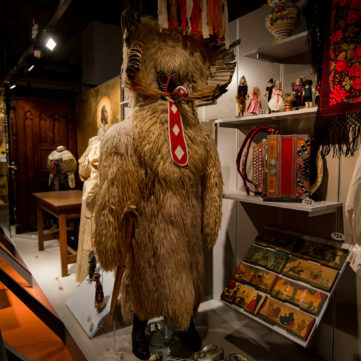 The Special Collections Gallery is a 10,000 square-foot open storage gallery honoring the ethnic and corporate heritage of Western Pennsylvania. 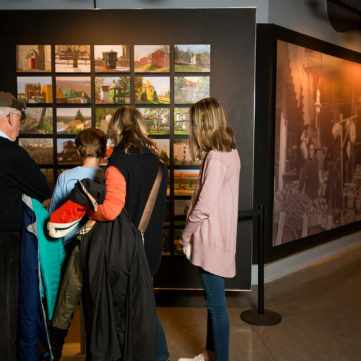 Visitors explore the paintings of artist Ron Donoughe. 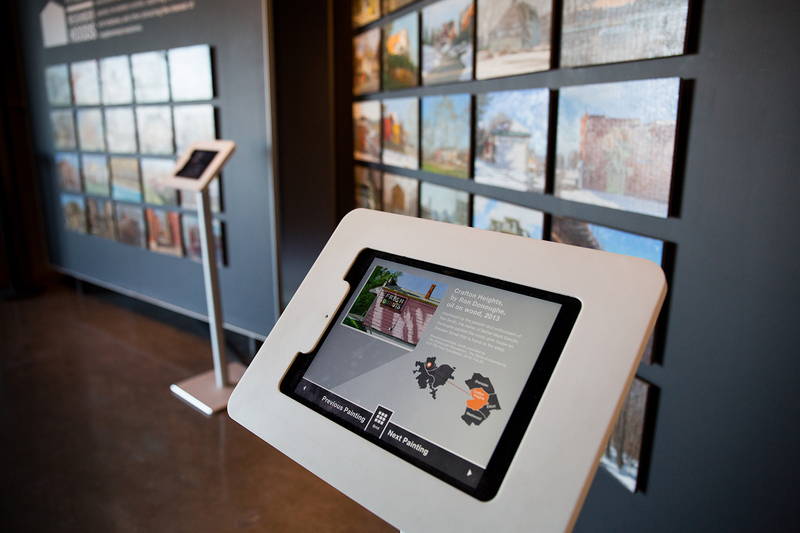 IPads are available for an in-depth look at each of Ron Donoughe's paintings. 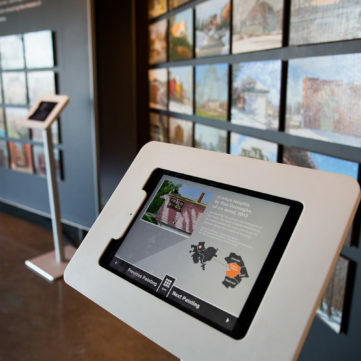 IPads are available for an in-depth look at each of Ron Donoughe's paintings of the 90 Pittsburgh neighborhoods. 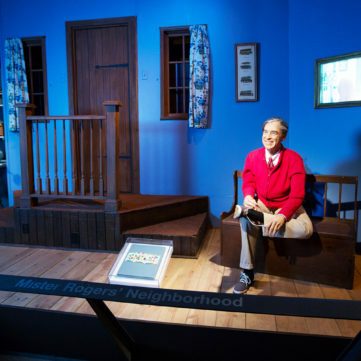 Visit Mister Rogers' Neighborhood and step back into your childhood. 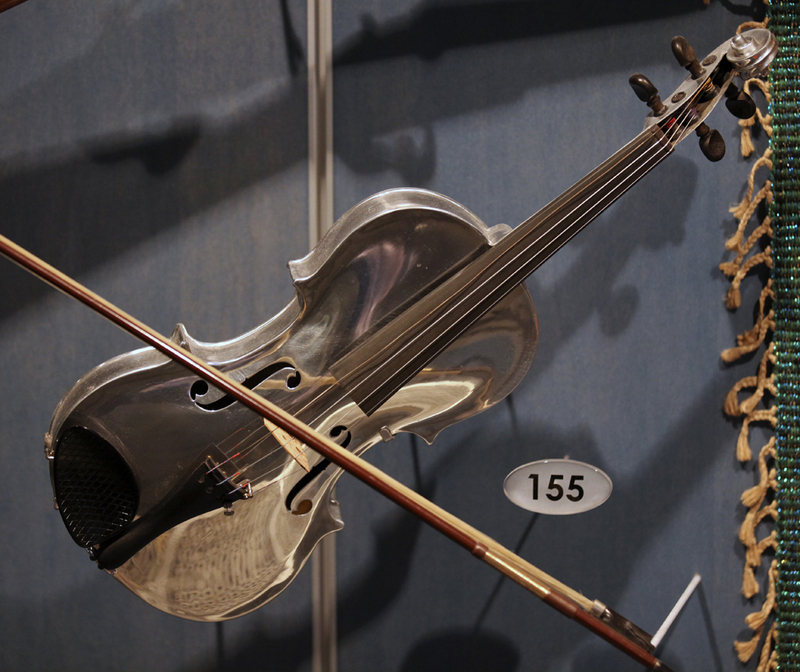 This violin showcases the artistic uses of aluminum. 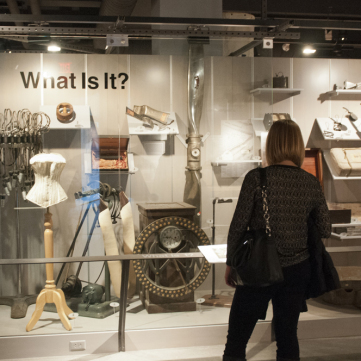 Alcoa experimented with many uses for aluminum, though not all of them have caught on. 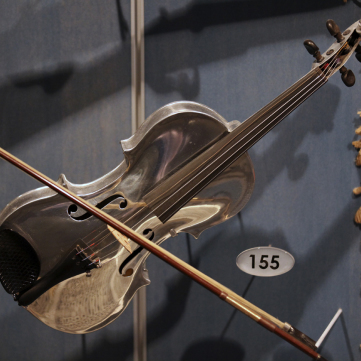 The violin is durable and produces great sound, but orchestral musicians at the time preferred to use traditional wooden violins. 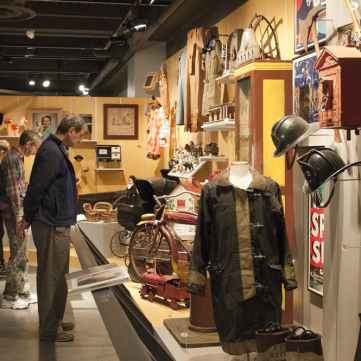 The Special Collections Gallery contains thousands of unique items ranging from antique cars and sleighs to ethnic dresses and toys. 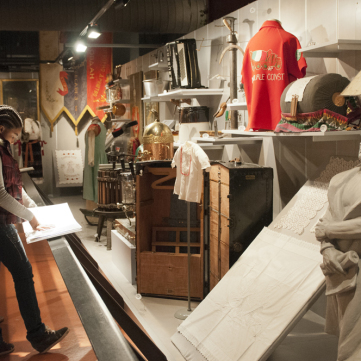 A variety of public safety professions are recognized, including nursing, firefighting, police, and civil defense professions. 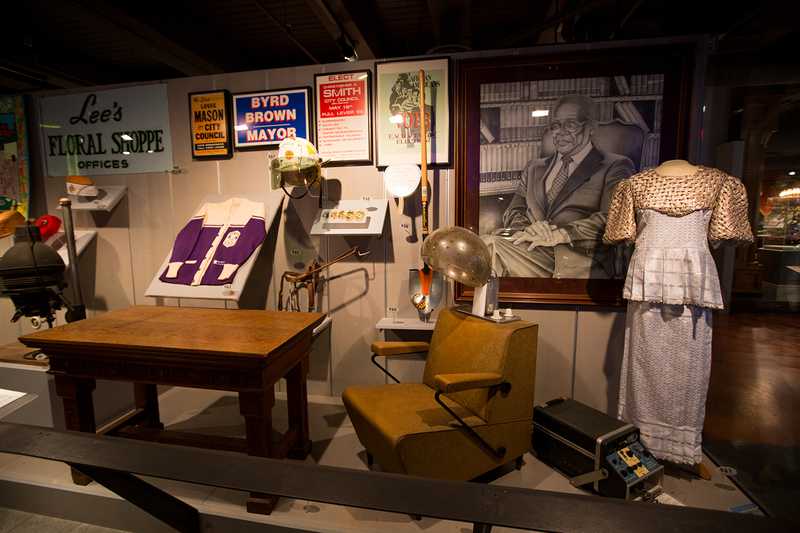 Inside the Special Collections Gallery are unique artifacts from local corporations including Alcoa, H.J. 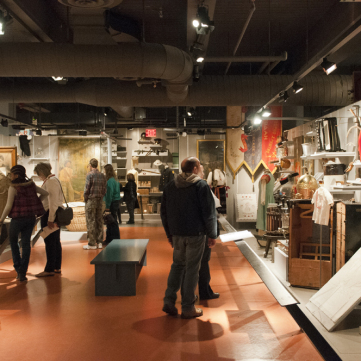 Heinz, Gulf Oil, Mellon Financial, U.S. Steel, and Westinghouse. 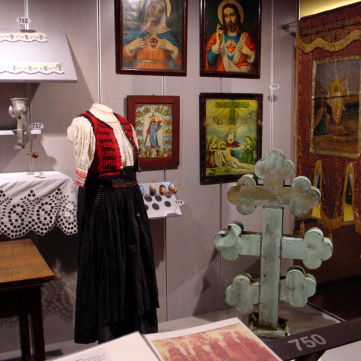 The Carpatho Rusyn collection features religious icons, pysanky eggs, dresses, and a Byzantine cross. 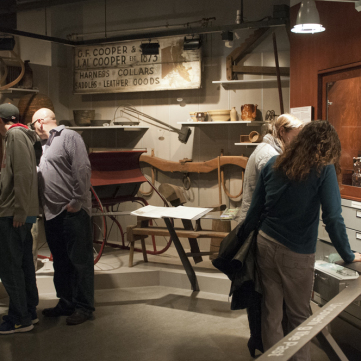 A variety of farming equipment is included from Meadowcroft, a National Historic Landmark located in Avella, Pa. 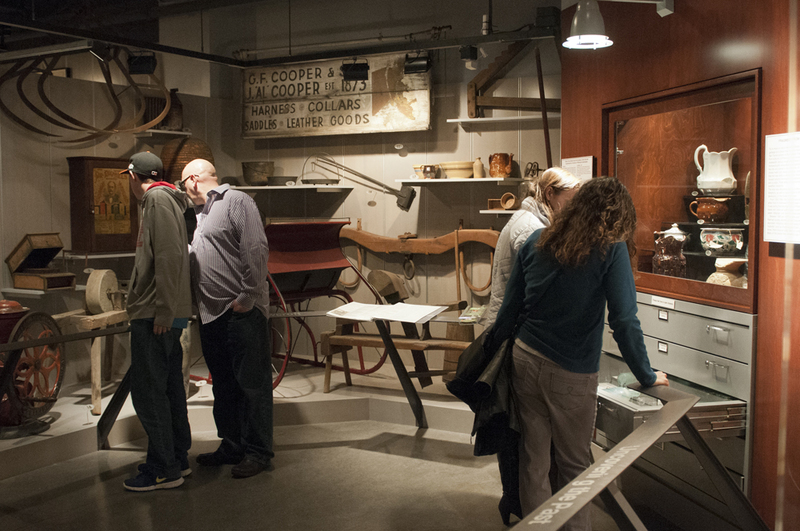 The Italian American section includes a coffee roaster and a cappuccino machine along with an Italian wine press. 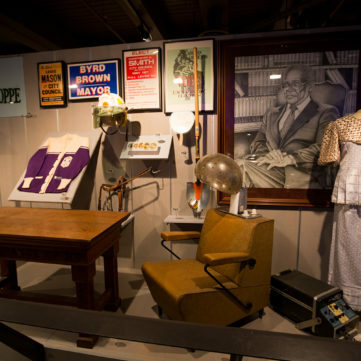 Gaines Funeral Home was founded by George W. Gaines in Homestead, Pennsylvania in 1919 and moved to various locations in Pittsburgh until 1929 taking over the former Mt. Ararat Baptist Church in the East End of Pittsburgh. 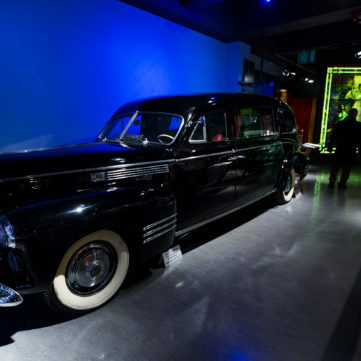 This Hearse was one of a fleet of limousines and hearses owned by Gaines from the 1940s on. 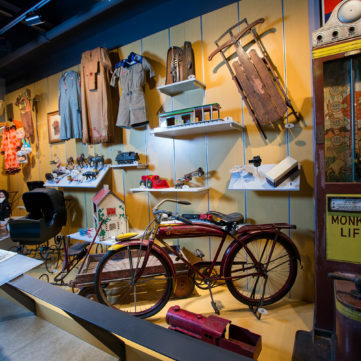 It is a 1941 model Sixty Special made for commercial use and especially equipped as a funeral car. 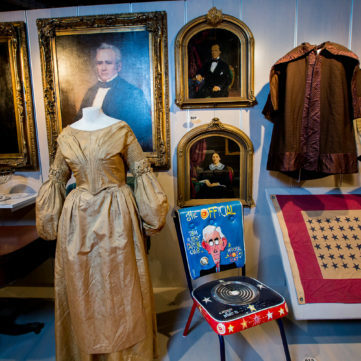 Partial Gift of Barbara and Frank Stagno. 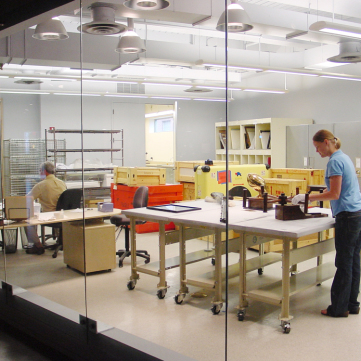 The Grace M. Compton Conservation Lab provides a behind-the-scenes look at museum artifact conservation.